Why is a crochet class yarn a big deal? Crochet classes at national CGOA conferences are a big deal. In fact, they have been the raison d’être of the event since the first one in 1994. Of all the places I’ve taught crochet, this event is my first choice. These classes are unlike anything else I’ve ever experienced–as a student in many of them too, not just a teacher. Each one is intensive and three hours long (sometimes double that). They’re not cheap but you get what you pay for and more. I’ve also made life-long friends in these classes. For some in-depth CGOA classes, the yarn either helps make the most of the 3 precious hours, or it can actually add obstacles. Conference attendees have to try to pack the best yarns and crochet hooks for the classes ahead of time, and it’s not easy. You can’t even buy the right yarn in the conference market if the class takes place before the market opens. Stitch Games is one of these classes this year. 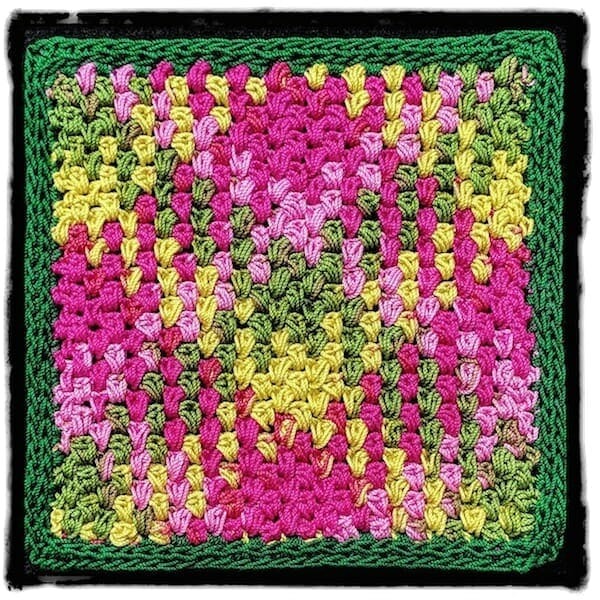 The crochet class yarn for Stitch Games could make or break that class! Lorna’s Laces really came through. They are graciously (can I say heroically) providing enough of the perfect hand dyed yarn for everyone in the class to use. 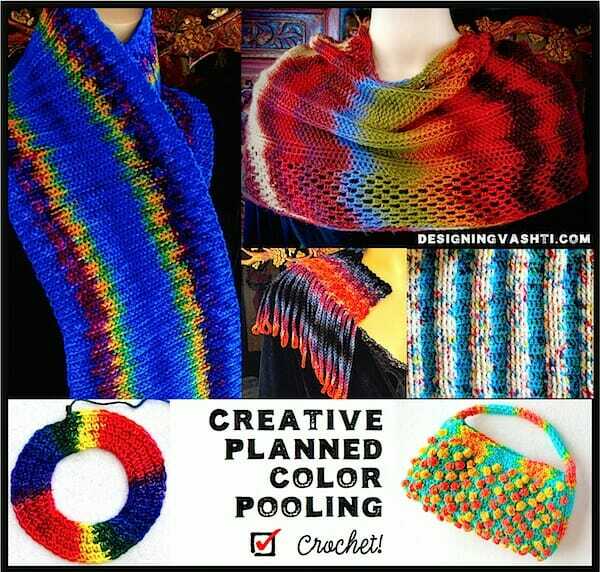 How Does a Crochet Class Get Sponsored? When a yarn company donates yarn for a CGOA class, it means the teacher has carefully selected that yarn as being the ideal way to experience the class topic. S/he then contacts the yarn company personally. For Stitch Games I’ve swatched and designed with a gazillion yarns since 2009. I’m happy to say that Lorna’s Laces Shepherd Sock, in bolder colorways, is the ideal crochet class yarn. We’ll have a full three hours-worth for everyone in the room.